Extensions will soon require a visit to the actual Chrome Web Store listing to start the install process so that users know what they will be getting. 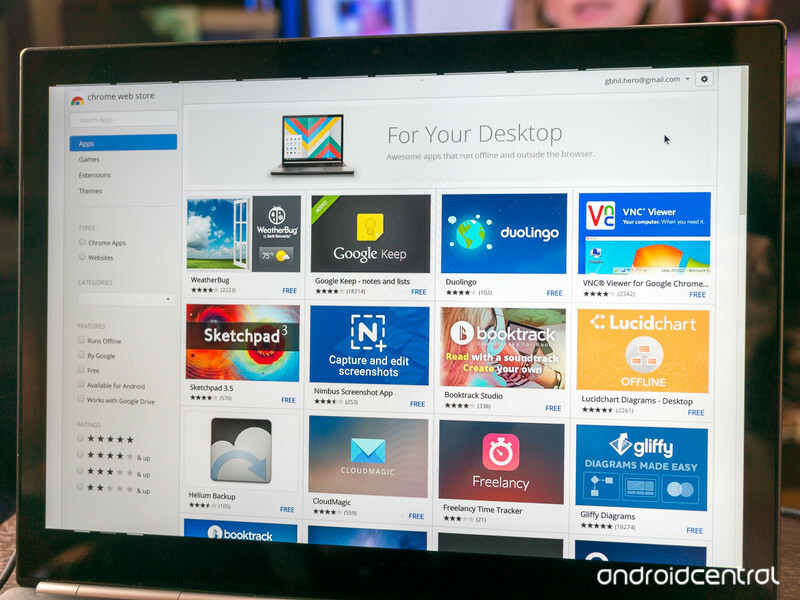 There are a lot of great extensions for the Chrome browser. They run on Chrome for the desktop or your Chromebook and can do anything from check for the best price at Amazon to keeping you safe from bad ads. Almost everyone has an extension or two that they wouldn’t want to be without. But not all extensions are great. Nobody wants the ones that aren’t great and try to do things like change your default start page or change your search settings so developers of those often resort to a bit of social engineering to get them installed. Google is going to put a stop to the biggest offender when inline installation of extensions is blocked this coming December. This doesn’t mean any extensions are being removed or anything of the sort. Inline installation means that you can click and install an extension from a third party website. You still need to approve the installation and the files themselves still come from Google through the Chrome Web Store. You’re just clicking to start the process from another website. Inline installation can lead to you installing something you didn’t really want or installing something that can be confusing. This happens because a developer can put any description they like at a third party web page, but the Chrome Store listing requires things like screenshots and a full description. Google is very clear about why this is being done. As we’ve ​attempted​ to address this problem over the past few years, we’ve learned that the information displayed alongside extensions in the Chrome Web Store plays a critical role in ensuring that users can make informed decisions about whether to install an extension. When installed through the Chrome Web Store, extensions are significantly less likely to be uninstalled or cause user complaints, compared to extensions installed through inline installation. This change is coming in three waves, starting today. Any new extensions from today forward are not able to be installed without a visit to the actual Web Store listing. On September 12, 2018, inline installation for all extensions will need to happen through the Chrome Web Store. To ensure compliance, Google is forcing install requests from outside the Chrome Web Store to instead redirect users to the actual listing in a new tab. Finally, in December when Chrome 71 is released the inline installation APIs will be removed from Chrome for good. Developers will need to update any third party links to point to the store listing before then, because depreciation of the API will also disable any automatic redirect during the installation process. Google can keep malicious extensions out of the Chrome Store and prevent any sort of normal installation of them by doing this (you can sideload any extension through developer settings). What it can’t do is police what developers write outside of the store that may not be an accurate description of what’s really going to happen. You’ll still be able to use the same Chrome extensions you use today, and things will be a little more transparent for the new ones you might like to try. We call that a win-win.